I understand that not a lot of people own the Boomco Crankforce, and I feel pretty dumb for asking this; but how do I open it? 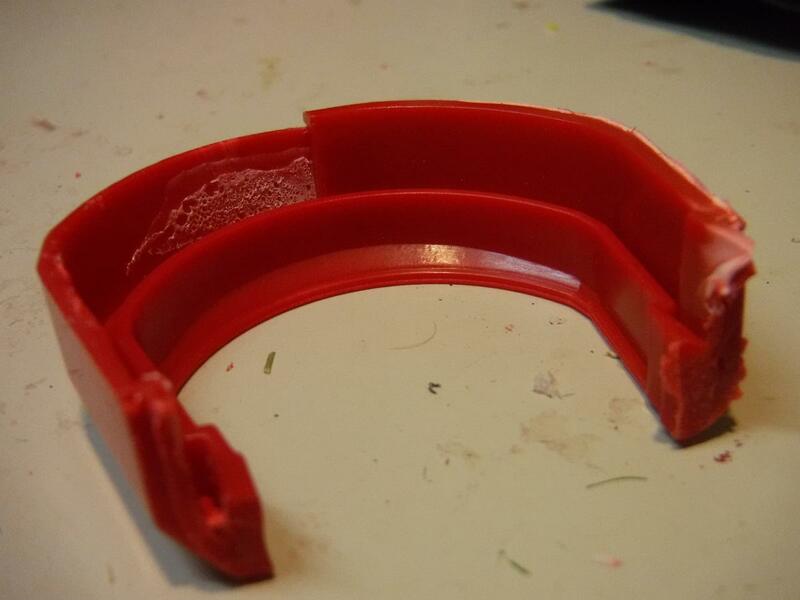 The front of the barrel is a solid plastic piece that needs to be pried off, but I'm not sure whether its glued or not. I tried searching for a solution, but pretty much nothing came up. 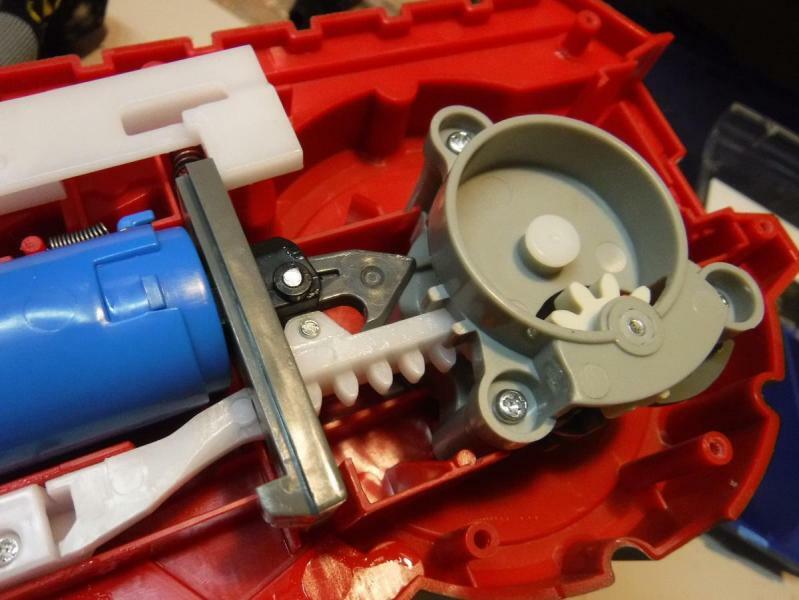 I know Boomtendo has a video with the disassembled blaster, but he didn't say how he did it. I managed to get one side really close to coming off, but it didn't last. 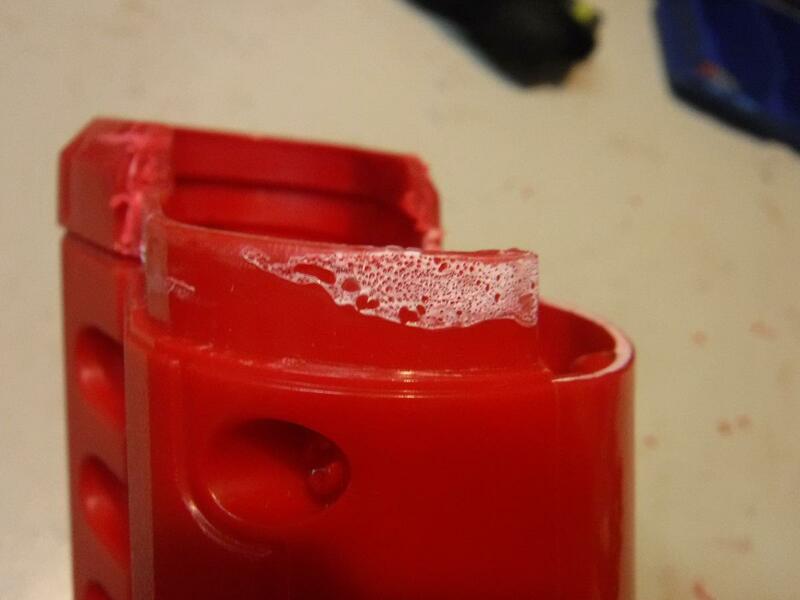 The last time I tried using brute force to open a blaster, I ended up breaking the plastic. UPDATE: Tried dipping the part in boiling water, didn't seem to do anything. Still stuck. Thanks for all the help. FINAL UPDATE: Remembered I paid $5 for the blaster, so I went at it with the dremel then pried the rest off. 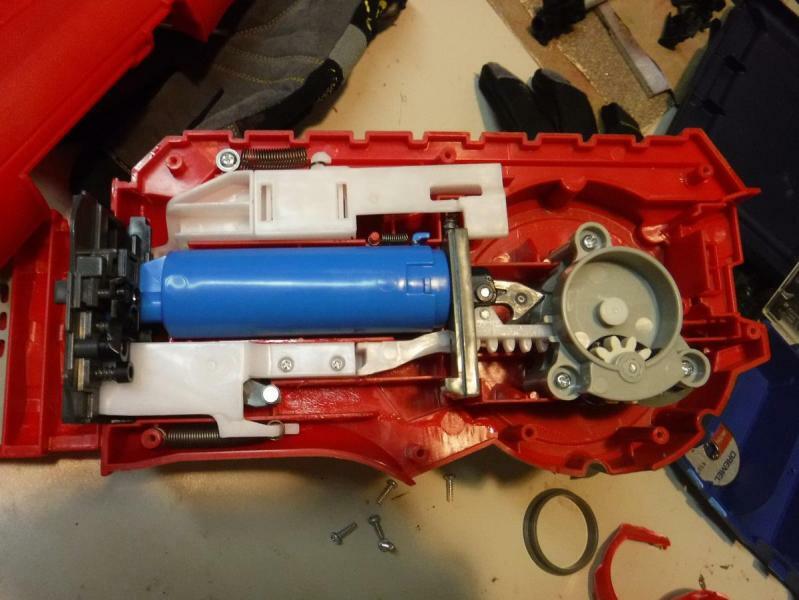 Turns out the piece was glued where the two halves of the blaster met... Guess I didn't dip it long enough. Edited by An unnamed cell, 20 August 2017 - 01:25 PM. The plebiest of the plebs. Also, the only reason I have one of these monstrosities is because they are a $5 Add On item on Amazon. I got this and a Slingfire for $25. You could slice the front plastic part in half along the shell line, glued or not. The screws around there should keep it closed pretty well.